Russian aircraft took off from an Iranian air base on 16 August to fly bombing sorties over Syria. Stratfor reflects on the meaning of this development. For the first time since the 1979 Islamic Revolution, Iran has permitted another country to use its territory for military operations. 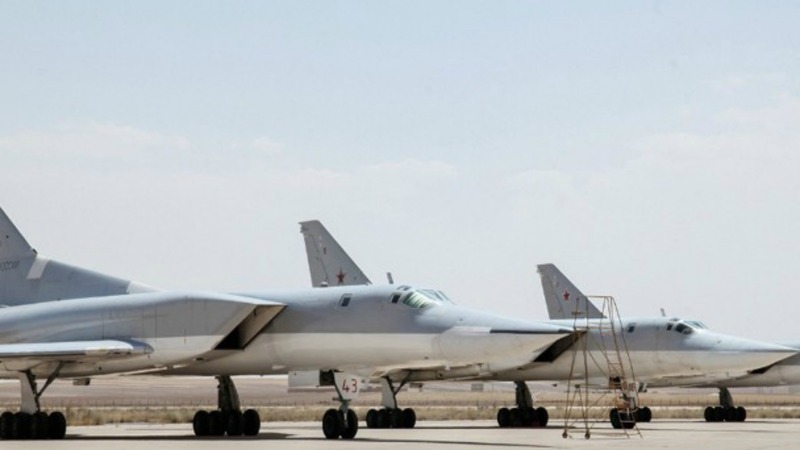 Both Russia and Iran confirmed that Iran had given Russia access to its military facilities, a day after imagery of Russian Tu-22M3 Backfire bombers at the Iranian Hamadan airfield southwest of Tehran circulated on the internet. Russia has not had a military footprint in Iran since 1946. The Backfire bombers previously had flown missions over Syria from bases in Russia. Staging from Iran significantly shortens the distance to targets in Syria, enabling the warplanes to fly more sorties and carry heavier payloads while reducing maintenance and costs. Over the past 24 hours, the Russians have reportedly carried out about 60 airstrikes over Aleppo alone, a significant increase over previous weeks. Furthermore, the Russians were granted access through Iraqi airspace, both for their bombers and for cruise missiles. This means the Russian Caspian Flotilla may soon launch another wave of cruise missiles over Iran and Iraq toward targets in Syria in yet another highly visible demonstration of Russia’s expanding military orbit in the Middle East. On the surface, Russia is trying hard to create the perception that it has vastly overshadowed the United States’ role in the Middle East through its array of alliances, surge in military activity and ongoing pursuit of defense deals. Just last week, Russia made a huge point to arrange strategy meetings with Turkey and Iran on Syria that made it look as if Washington, which has been leading the coalition fight against the Islamic State, was being left out in the cold. Reality paints a much more nuanced picture, however. Russia has a larger military footprint in Syria than the United States does, but the US footprint gets considerably larger in the Middle East as a whole. While Russia operates bases and has air assets stationed in Syria and is now setting up a similar presence (on a presumably temporary basis) in Iran, the United States has permanent basing with large military contingents in places such as Incirlik Air Base in Turkey and the 5th Fleet headquarters in Bahrain. The United States also has numerous smaller shared bases and forward operating positions supporting active theaters in nearly every other country in the Middle East save for Iran. Beyond assets on the ground, there are notable differences in strategy that shape US and Russian involvement in the Middle East. Russia is far less discriminatory than the United States in carrying out bombing raids; the United States applies more legal and ethical considerations toward its military operations to try to mitigate civilian casualties. Russia’s broad targeting, as seen in its bombing of US-backed Syrian rebels in the name of fighting the Islamic State, gives it even more of a sweeping presence on the battlefield, leaving it up to the United States, Turkey and other coalition partners to come to Moscow to coordinate on the battlefield or risk an accidental collision with Russian forces. That then enables Moscow to exchange tactical coordination in Syria for other strategic concessions, as it is now doing with both Washington and Ankara. Russia has also created the perception that it is more willing than the United States to commit resources to the Middle East theater and is therefore more trustworthy to its allies. That Iran would be willing to host Russian military forces speaks volumes to the apparent, yet logical, fickleness to their relationship. There is no love lost between Tehran and Moscow, and the Iranians certainly remember the Soviet occupation of Iran during World War II. But though the Iranians remain cautious with Russia, they will gladly accept Moscow’s support to maintain an edge over their regional rival, Saudi Arabia — just as Moscow uses its involvement in the Middle East to get a leg up in negotiations with the United States. The perception that Russian influence is surging in the Middle East will shape the US national debate on America’s strategy for the Islamic State and other threats. The reality, however, is that the United States is still recovering from more than a decade of fighting multidivisional wars in the Islamic world, while Russia’s intervention in Syria is its first military action beyond the former Soviet Union since the Cold War. Washington adopted a more restrained approach and reduced its presence in the Middle East in response to public distaste for war-making and nation building and in recognition of mounting strategic challenges in other parts of the world. The United States now relies more heavily on military contractors and local proxies while it reprioritises its foreign policy objectives. The fallout from that approach was seen in the rise of potent jihadist groups such as the Islamic State, which took advantage of the power vacuums to seize territory in Iraq and Syria while encouraging attacks abroad. Though the US strategy has degraded the Islamic State’s conventional capabilities, it takes a politically intolerable amount of time for those results to be seen. Another consequence of the US approach is in the ways the United States’ regional partners have tried to sway the fight against the Islamic State toward their own interests. For example, Saudi Arabia is pushing the United States to focus on bringing down the Iran-backed government in Damascus, while Turkey is threatening unilateral action in northern Syria if the United States cannot prevent the People’s Protection Units, a Kurdish militia, from expanding west. By the same token, just because it is deepening its military involvement in the region does not mean Russia can steer its proxies toward peace negotiations on its terms. There are limits to working with proxies on both sides. A debate has developed in the lead-up to the US presidential election on the merits and risks of the slow and steady approach to fighting the Islamic State and whether the United States needs to step up its engagement in the Middle East, particularly at a time when Russia is trying to overshadow it. Meanwhile, Russia is dealing with what appears to be a serious power struggle within the Kremlin, but President Vladimir Putin is doing just enough to shift the focus away from the Kremlin palace intrigue and on Russian muscle-flexing in Ukraine and the Middle East. Russia faces real limits in how much of its energy and resources it can expend on its overseas commitment, but its ability to shape perception may matter more than the reality over these next few months. After all, if Washington feels political pressure to be more involved in Middle Eastern quagmires, it will be too distracted to risk a serious escalation with Russia down the road. The United States would then be further compelled to deal with Russia to find a way out of those quagmires. And of course, the US bombs are more inteligent then the russian ones. The images from Falloudja & Ramadi show that USA use cluster munitions, but, of course, no media to report. Reasons, the Guantanamo type of media management. Thanks to Putin interference from september 2016 the US are waking up after ISIS breeding.